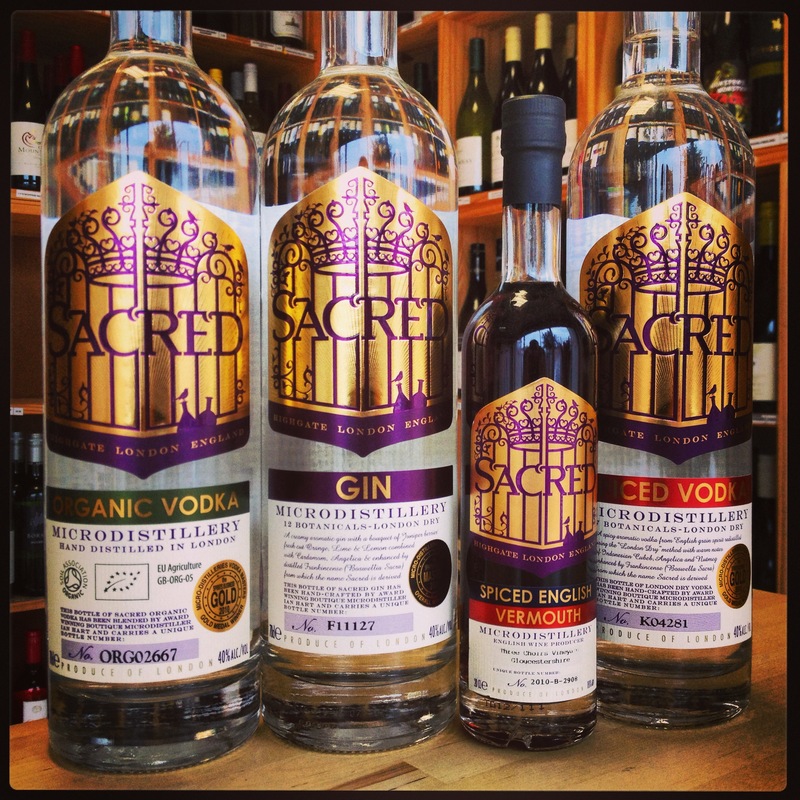 Sacred is a name that has been part of the London distillery scene for the past few years, and one feature that takes pride over them all is the fascinating story behind its creation. Sacred Microdistillery was established in London in 2009 by Ian Hart and Hilary Whitney. Their initial idea of creating gin has now expanded to include flavoured vodkas using their distinct vacuum process. Based within a residential street in Highgate, the knowledge of Ian’s days from studying for his Cambridge Natural Sciences degree shine. Originally though, he was more concerned about re-engineering the vintage wine he’d been collecting, but after taking delivery of some neutral grain spirit and botanicals, the idea of gin creation blossomed. Ian created something unique, using twelve organically sourced botanicals (including fresh-cut citrus, juniper, cardamom, nutmeg and a type of frankincense called Boswellia sacra) which are each macerated with English wheat grain spirit before being diluted with distilled water and then distilled separately in glassware under vacuum. Once bottled, Ian initially hand delivered stock to local bars and restaurants in London until popularity meant he had to find help from a local distributor. I say popularity – Sacred was winning awards. Sacred Gin came first in its category in the Ginmasters 2009 competition, Gold in the Micro-distilleries Vodka Masters 2010 by The Spirits Business and placed in the top three alongside Hendrick’s and Tanqueray 10 gins in another blind tasting organised by Imbibe magazine. Clean nose with only a slight juniper aroma. Surprisingly easy-going on the palate. Very light on the nose with a smooth, long taste. Very clean on the nose with a slight sweetness, with a palate of creamy potato. Smooth with a slight citrus and coriander nose, but a slight harshness and very little flavour on the palate. Slightly harsh on the nose and palate with ony a small flavour. Floral and clean on the nose, with a hint of sweetness on the palate. Subtle aroma with a rather potent attack to the palate. Slightly bold on the nose, but a freshness on the palate. Slight aniseed that slowly powers through on the palate and nose. A freshness on the nose, following to the palate. Slight sweetness on the nose, and again on the palate with a hint of harshness near the end. Clean, with a very subtle nose of fresh pine and violet. A dry, juniper let flavour on the palate, with a spicy edge that lingers for a long finish. Created using barks, peels, herbs and spices including organic wormwood from Somerset, organic thyme for the New Forest and English wine from Three Choirs Vineyard in Gloucestershire. A strong aroma of herbs and cloves that follows onto the palate and creates a sweetness from orange wormwood and a small amount of lavender. A slight spice on the nose with cinnamon coming through. The palate enjoys a lingering spice with nutmeg striking through that mellows a little to create a short but warm ending. A fragrant nose of herbs, rhubarb and dry rosemary. Rather light and thin on the palate, with a subtle flavour of herbs and rose lingering for a dry finish. Combine all ingredients within an ice filled rocks glass and stir. to removing lines. Sit up straight then tilt your chin up toward the ceiling.